First it must be understood that people in poverty are not lazy but industrious. They want to provide for themselves but in most cases simply lack the opportunity. Micro Loans are a great way to help a pastor and those they care for help themselves. Furthermore, your gift is multiplied again and again as it is reinvested in pastor after pastor. RSMI, as an organization negotiates with a pastor works with a pastor and their family to develop creative ideas for a small business. This can be a small storefront attached to their home, livestock such as a cow or chickens, pigs, or other ways to develop income. These entrepreneurial ideas are to be based upon the need in their particular area and culture. Based upon this initial assessment an amount is determined; usually between 100 and 500 dollars. From there a weekly repayment schedule is created to develop responsibility until the terms of the loan have been met. There is no interest accessed for these loans yet the terms must be met or no further loan can be expected. As the funds are paid they are then reinvested in another pastor and their family. 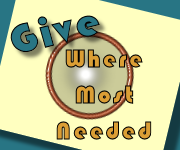 This way the gift you give is reapplied and multiplied. Therefore, your one gift helps multiple needy people. We realize that although the Adopt-A-Pastor program brings immediate help to pastors in need it is not enough. The ultimate goal of the Micro-Loans for Pastor Project is to bring self-sufficiency. These servants of God need the opportunity to stand on their own with the help of their God. This not only breaks the cycle of poverty but helps them to realize that their source of help, through God’s care, is from themselves and not from Western Nations. This is a highly important concept to impart that they might see their potential. Won’t You Help Us Help Them? Your gift of 25.00 - 50.00 - 75.00 - or 100.00 dollars does all this and more. 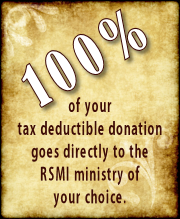 Help a pastor become self-sufficient through your gift today.